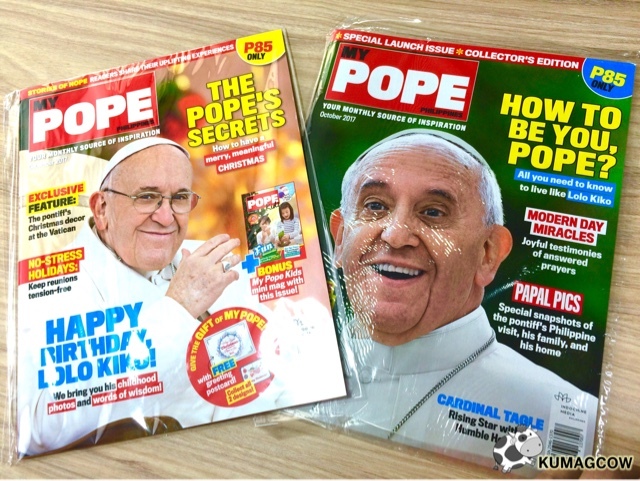 I saw these two issues of My POPE Philippines on the table and I have a few people in mind already who would appreciate this as gifts for Christmas. You see, this magazine has been launched in the Philippines just recently by Indochine Media Philippines and will be releasing it monthly. The content as you may probably feel is meant to be a source of inspiration for readers of all walks of life and feature our current Pope Francis. This media conglomerate is based in Singapore but finding out how passionate the Filipinos were during the Pope's visit in the Philippines, they were just astounded with how we had been able to receive him during that time and yes it's not entirely about the Pope per se but more on stories of positivity, of great hope, stories, small miracles that may have changed countless lives here and around the world. The December issue is a bundle and will be issued with My POPE Kids, I won't be surprised if this ends up in your friend's Christmas list as it's available in National Bookstore, Fully Booked stores, Powerbooks, 7-Eleven and bookstands, supermarkets, newstands across the country for only Php 85. This mag was also inspired and adapted from the Italian magazine Il Mio Papa, which has been highly successful in Spain, Portugal, Germany and Austria, so they've planned to put up an office in the Philippines two years ago, now it's a reality. Ms. Tata Mapa the Editor in Chief says "People are actually surprised that this is a monthly magazine, but he's a rockstar and his appeal is really down to earth. He can go down to where you are and inspire people. We jump off from the Italian version and the material will have local features so it becomes relevant in the country. Not just to put him on a pedestal, we can be like him too. Regular people who live extraordinary lives. They approached me a couple months ago and two things I asked was was will I meet the Pope and why a magazine? I know the reality right now is that magazines are closing down, but this is such a unique magazine, you can really find something each day that you will be happy about and know that in print you just have the right title, the way we make these articles are very different and when you read it, you'll feel happy, very transformative. You find ways to uplift yourself and your spirit. When I asked Cardinal Tagle about it, he says not enough people talk about the Pope, talk about the good things, inspirational stories about everyday heroes to show people that normal ones can be heroes. Cardinal was just in a Barong, we got shocked but he's like a normal person that talks to you like a friend. This isn't just a Catholic magazine but it's him as a person. Interview people that got to interact with him. On why a lot of people like him, and find less stress, positivity to remind us, to guide us. Not only just for Catholics, but for everyone, for all walks of life. The aspects of faith and positivity, it is for everyone. We also have My Pope Kids which comes free with the magazine and put learnings about values made a pretty playful way. To focus more on spending time with your children, there are ways to instill things for children." She adds "We want to have small things, stories that would help our readers day become a better day. When we're caught up in things, we can pull back and see things that there's always a solution. Learnings that would be woven into editorial and articles that we create. This is a lifestyle magazine, it is for anyone that loves Pope Francis, it's why we talk to people and talk to you so people would know it's different." Associate Editor for MY POPE Ms. Stephanie Jecena says "The younger ones are going back yo paper, in a way that they want to hold something, seeing them in book launches that are young. I have high hopes of reviving the print industry, very unique in content. 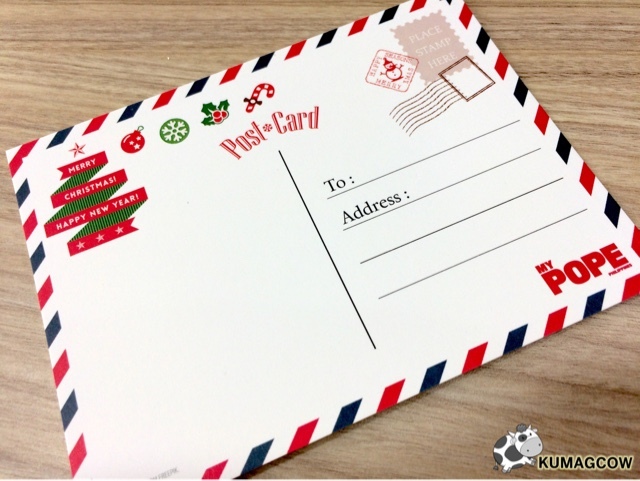 We want to capture what to say in that month to communicate what we are trying to say in a magazine. Not a niche but we know how to convey what we need to say to them. The thing is we also have readers that have the need to share their story, we have good vibes everyday because we also get inspired. I personally try to become a better person, to find things that you can be thankful for, to just pause and think about it, put yourself in a good place and change your mood." 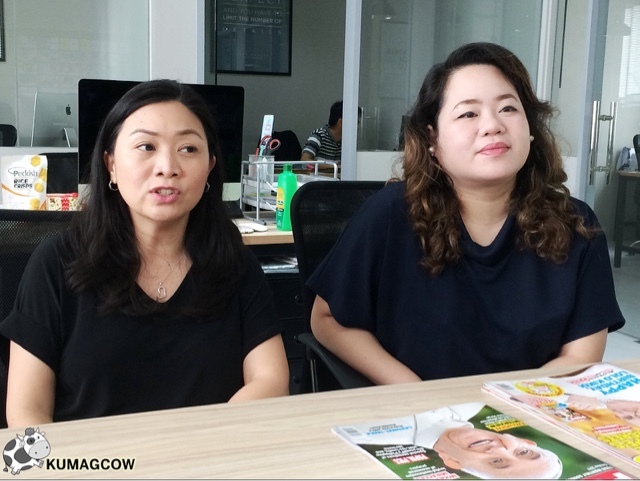 Ms. Rina Lareza, the Distribution Director for My Pope Philippines says "We are planning to cover the supermarkets, all places nationwide and establish the logistics part and printinng about 50,000 to spread the good news. If you want to give it as a gift in free delivery in major cities, text or call 09177111818. If you want to also be a dealer, they can accomodate you, organizations and earn a little so just gwt in touch. 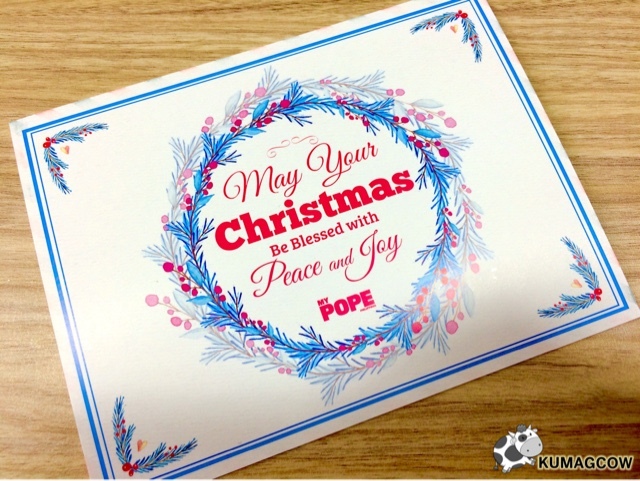 We can also be emailed at subscription@mypope.com.ph. Each issue costs Php 85 only, cheaper if you do it in 3-6-12 months too." It looks like a positive year is about to happen with the things My Pope Philippines is bringing you. Indochine Media Philippines is also gearing towards having other titles that are distributed in other countries and have them here. It's already in the pipeline but from the looks of it, this already looks good.